17.04.2016. Vitality Stadium, Bournemouth, England. Barclays Premier League. Bournemouth versus Liverpool. 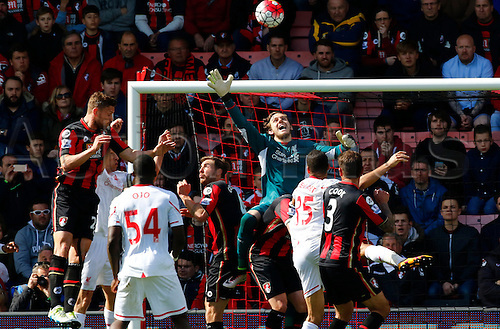 Liverpool keeper Danny Ward defends a corner as Bournemouth press for a late equaliser.